How will Mage look in Hearthstone’s Rise of Shadows expansion? Have no fear, Khadgar is here. If you’re a full-time Mage player, you know that the Rastakhan’s Rumble expansion has had its ups and downs. So how do things look for Mage in Rise of Shadows based on what we know so far? Over the last few months, the Mage class has been in a very strange spot. Rastakhan’s Rumble brought some exciting new cards, like Jan’alai the Dragonhawk, but Mage couldn’t spend any significant time near the top tier. Although Odd Mage and Big Spell Mage have been viable, both decks fail to compare to options available to classes like Paladin and Hunter. There’s a version of Secret Odd Mage sitting at a 53 percent winrate on HSReplay right now, but that hasn’t been the case during the entirety of the expansion. At certain points during Rastakhan’s Rumble, Mage has struggled to find its footing against some of its better equipped foes. While some Mage wizards like Jacob “Apxvoid” Coen can still absolutely dominate with the class no matter what, performing well on Mage for the average player can be tricky. Most Mage decks have a healthy amount of control-oriented play involved, which means making mistakes can lead to harsher punishment. Since Odd and Even decks will no longer exist for standard play when Rise of Shadows drops on April 9, Mage will need some serious support to make up for the loss of its improved hero power. Building on Jan’alai the Dragonhawk, it looks like that support could be coming in the form of a new combo based on a high-value summoning playstyle. Fans of World of Warcraft will recognize Khadgar as arguably the most powerful Mage in Azeroth. 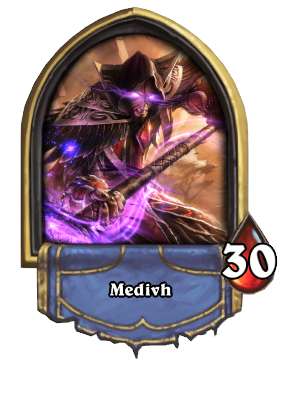 The only Mage who’s alive and could dispute Khadgar’s claim in the lore would be the face of Mage in Hearthstone, Jaina. Blizzard wouldn’t let such an iconic character be wasted on a throwaway card. The first thing that most Mage players thought about when Khadgar was revealed as part of the Rise of Shadows expansion was how much synergy he has with Jan’alai, the Dragonhawk. Jan’alai is a seven-cost, four attack, four health legendary Mage minion with a powerful Battlecry that Khadgar makes even better. Jan’alai’s Battlecry will summon Ragnaros the Firelord as long as you’ve dealt eight damage during the game with your hero power. Ragnaros the Firelord is an eight-mana 8/8 minion that deals eight damage to a random enemy at the end of your turn. If you summon Khadgar then play Jan’alai and your opponent has no minions, you deal 16 damage to their health and it only costs you nine mana. Some players are critical of the amount of time it will take to set up the combo, and are concerned that Jan’alai and Khadgar will be useless until the end of the game. For this reason, Khadgar will more than likely be finding a home in whatever the new version of Big Spell Mage is. 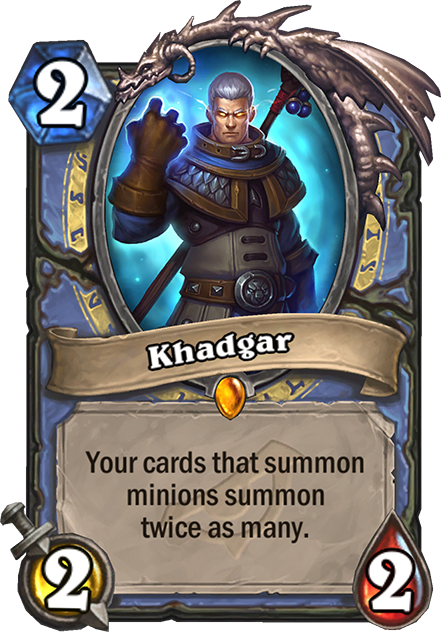 That being said, many fans on Reddit believe Blizzard may surprise us with more low-cost support for Khadgar, making him viable in faster decks. Jan’alai isn’t the only support for Khadgar, however. 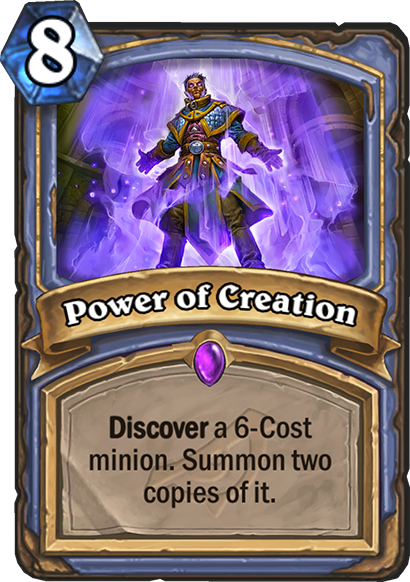 Blizzard also revealed a new eight-cost Mage spell called Power of Creation. This card allows you to Discover a six-cost minion, then summon two copies of it. This means playing Power of Creation after Khadgar is on the field will grant you four copies of whatever minion you choose to discover. If Khadgar is in a deck, you can probably expect to see both Jan’alai and Power of Creation. 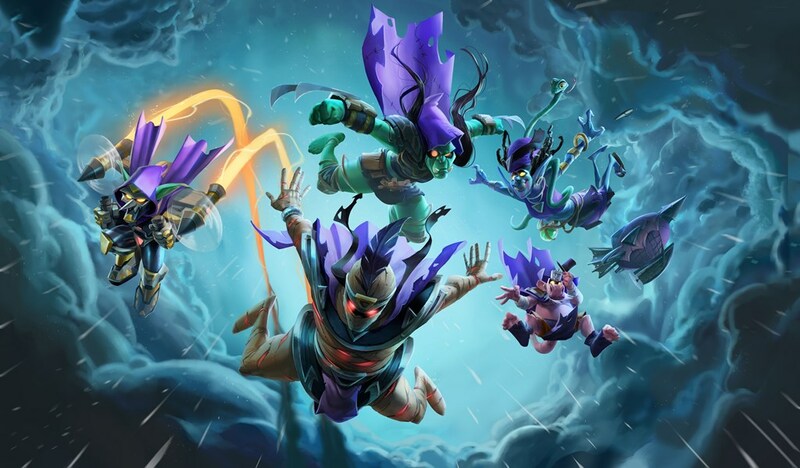 Although we can’t know for sure how strong Mage will be until players have time to shape the meta, what we’ve seen so far from the class makes it at least look fun. Big Spell Mage has always existed in some variation to a degree, and it looks like the newest version of it might be the best we’ve seen in a while. The other new Mage legendary, Kalecgos, costs 10 mana, but has an effect that causes the first spell you play each turn to cost zero. Kalecgos also has a Battlecry that allows you to Discover a spell. While it may be too early to know exactly how the deck will be played, fans of Big Spell Mage may want to empty out their piggy banks for the Rise of Shadows mega bundle. The deck will definitely exist in some form, and as per usual, it looks like it will have a very high dust cost. You can find out how good the deck is for yourself when Rise of Shadows becomes available for play on April 9.